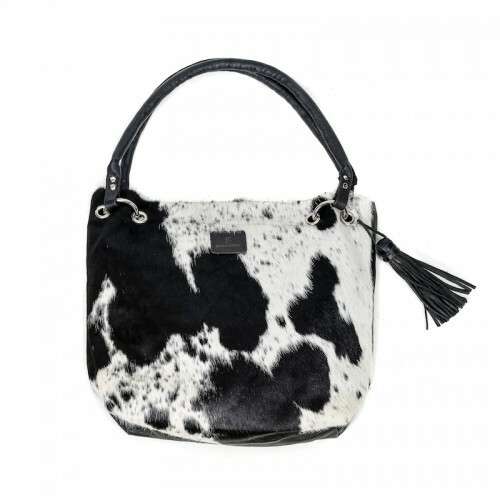 The Zulucow cowhide handbag is finely crafted by hand with our unique Nguni cowhide and natural, butter-soft leather. 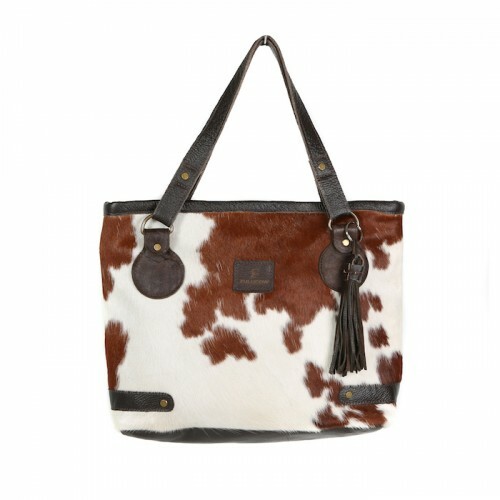 The perfect bag to accommodate all your daily essentials whilst making a stylish statement. Eyecatching, smart and versatile; a perennial favourite. 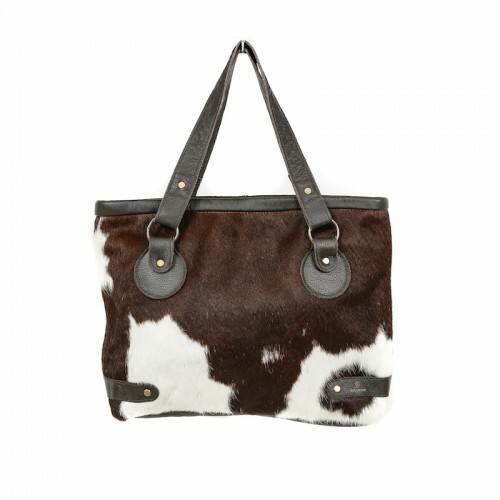 Dramatic cowhide handbag with stud detail. 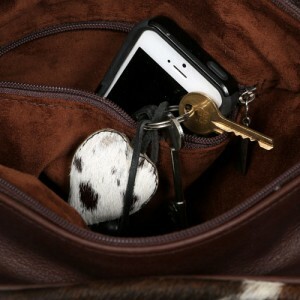 Ruched leather side pockets with leather ties and a back panel of smart black or brown soft natural leather. 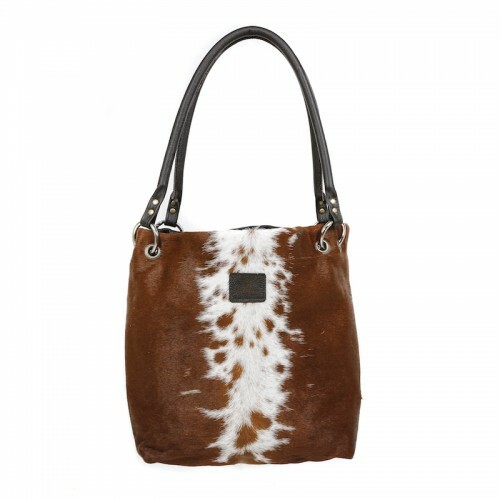 Super luxe suede lining with large inner zip pocket and strong zip fastening at top to close. 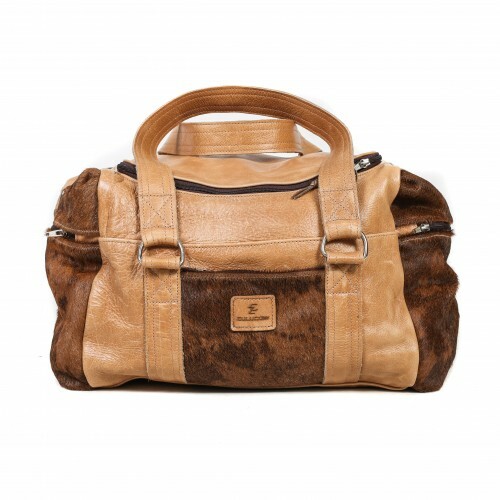 Beautiful high quality top grain natural leather backs of the handbags.